Manuscript of Mirza Ghalib’s 1821 Divan discovered in Bhopal in 1917. Contains twice the number of verses compared to his previously published “official” Divans. Includes notes and additions in Ghalib’s own hand. Rediscover Mirza Ghalib through his "unknown" Ghazals contained in this manuscript which was Ghalib's personal copy for over a decade. ​In 1917, some fifty years after Ghalib’s death, a manuscript was discovered in the Hamidiyya Library in the princely state of Bhopal that was beyond doubt a Divan of the great poet. 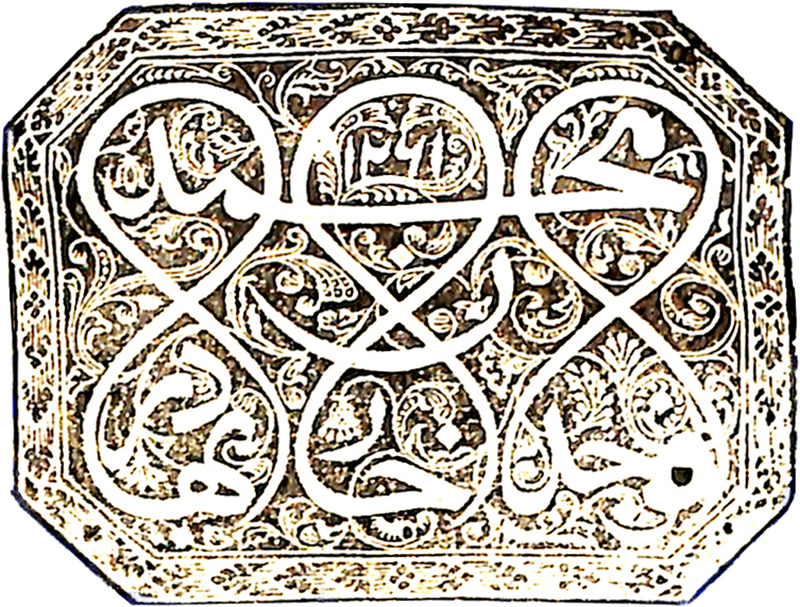 The colophon revealed that it had been calligraphed (in 1237 hijri, corresponds to 1821CE) by Hafiz Mueenuddin. The calligrapher states in no uncertain terms: دیوان من تصنیفِ مرزا صاحب و قبلہ المتخلص بہ اسد و غالب سلہم ربہم علی یدالعبد المزنب حافظ معین الدین بتایخ پنجم شہرِ صفر المظفر ۱۲۳۷ من الہجرت النبویہ صورت اہتمام یافت۔The manuscript or nuskha (as we call it in Urdu) was written in a pleasing hand and the text enclosed with red, gold and blue margins. Unlike the general practice of beginning a Divan with a ghazal, this Nuskha begins with a qita’ in Farsi followed by two qasidahs in Urdu. The page marking the first ghazal, the famous, naqsh faryadi hai kiski shokhi-e tahrir ka, is elaborately embellished with gold and blue. Ghalib’s Divan, what we must refer to as the mutadavil or current divan had gone through five editions in his lifetime. The fifth edition published from Agra in 1863 had a total of 1795 verses. In the space of fifty years following Ghalib’s death, several editions of his current divan may have been published. I have been able to track down two: 1883 and 1887, published by the reputable Munshi Naval Kishore Press, Lucknow. The wide circulation of the printed (mutadavil) divan undoubtedly established Ghalib as the greatest of Urdu poets, but it also made everyone forget that the Divan was after all an intikhab (a selection). Ghalib had composed much more than the 1800 odd verses presented in the mutadavil (official) Divan. The discovery of the Nuskha–e-Hamidiyya was phenomenal in that it revealed a large number of verses that were not included in Ghalib’s Divan! Of the 1900 verses that were presented in the Hamidiyya, only 700 had ever been included in the Divan. Of the 1900 verses, 1883 are from ghazals.... Read more..